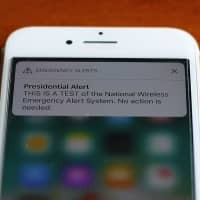 WASHINGTON - The Federal Emergency Management Agency sent an alert on Wednesday aimed at tens of millions of mobile phones to test a previously unused presidential alert system to warn the public in the event of a national emergency. The test message was originally scheduled for September but pushed back to 2:18 p.m. EDT (1818 GMT) on Wednesday with phones making a loud tone and a special vibration. The message read: “THIS IS A TEST of the National Wireless Emergency Alert System. No action is needed.” A separate alert on televison and radios was issued at 2:20 p.m. EDT. Federal officials said Trump was not personally involved in sending the alert, which would be sent in the event of a pending missile attack or other national emergency. 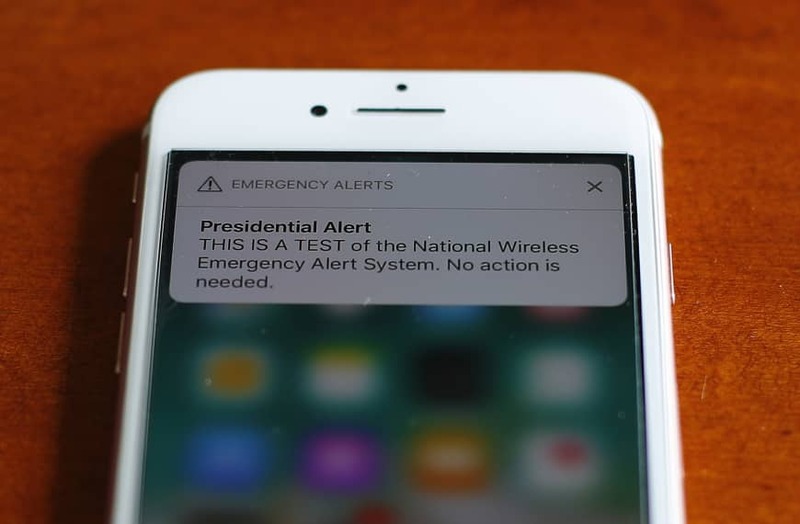 U.S. cellphone users are not able to opt out of presidential alerts.